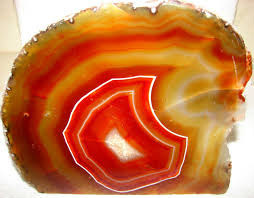 Agate is a banded form of chalcedony (microcrystalline quartz) and is found in the most spectacular colours including orange, fire, green, purple, fuchsia, brown, red and black. With a hardness of 7 on the Mohs Scale, it is ideal for every day wear and its translucent, vitreous nature makes it ideal for cabochon or faceted jewellery. To learn more about agate, click on the photo. Take a walk through our agate jewellery! 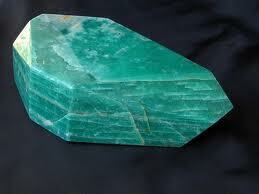 Amazonite is a green or blue-green gem variety of Microcline which is Feldspar. Lead and water deposits are thought to account for the luscious green colour. The stone has creamy white striae through it which give a mottled or stripy character to the surface once polished. For more information about this vividly coloured gemstone click on the photograph of amazonite. Why not take a look at our amazonite jewellery. 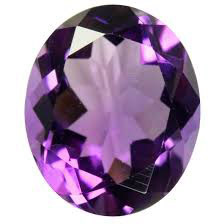 Amethyst is transparent purple quartz and is the most popular of the quartz varieties used in jewellery. The colour range varies from pale lilac to deep purple, the latter being the most valuable particularly with rose flashes. Quartz is the most abundant and common mineral used for jewellery and is found in many different forms such as citrine, rose quartz, rock crystal, tiger eye and smoky quartz. For more information about this glorious and popular gemstone, click on the photograph of amethysts. Why not explore our large amethyst jewellery collection! 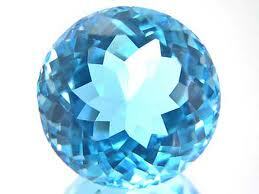 Apatite comes in many colours (white, yellow, brown, red, pink, purple, blue, green) depending on the mineral predominance. 3 minerals are present - Fluorapatite, Chlorapatite and Hydroxylapatite. Named from the Greek word apate, which means "deceit", Apatite has a similar appearance to many other minerals for example beryl, tourmaline, olivine, quartz and peridot. Click on the Photograph of Apatite for more information. 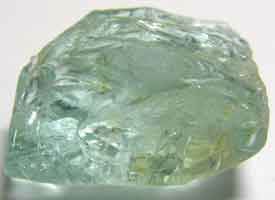 Aquamarine, like emerald is a variety of beryl. 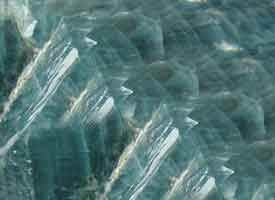 Pure beryl is colourless but as with many gemstones, chemical impurities give gemstones their fabulous colours. Iron is responsible for the beautiful green/blue of aquamarine and minute traces of chromium give emerald its well-loved rich green. Whilst flawless aquamarines are readily available (but expensive), a flawless emerald is rare. For more information about these gorgeous gemstones click on the photograph. 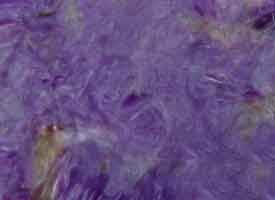 The varieties of chalcedony are even greater than those of transparent quartz because chalcedony includes cryptocrystalline quartz with patterns as well as a wide range of solid colours. Chalcedony, agates, jaspers, bloodstone, carnelian, onyx, and chrysoprase all make up the chalcedony gemstones. For more information about chalcedony, click on the photograph. Browse our pastel chalcedony jewellery! It gets its name from its source. The Russians first discovered charoite in 1947 in the Murun mountains in Yakutia, but it was not known in the West until 1978. For more information about charoite, click on the photograph. To see Chrysocolla is to love it! It varies in colour from blue to green with red/brown areas and the most beautiful pieces are a combination of all shades. 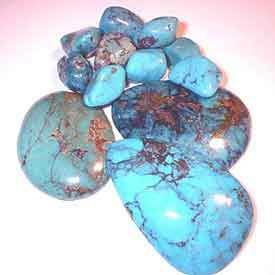 Sometimes fraudulently passed off as turquoise, this gemstone is quite different. For more information about gorgeous chrysocolla, click on the photograph. Another member of the quartz group, Citrine is a yellow to orange coloured gem which is rarely found in its natural yellow form with the result that most commercial citrine is usually made by heating amethyst. 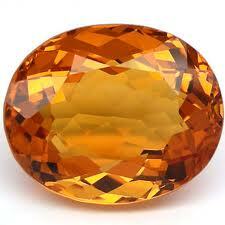 For this reason citrine should not suffer prolonged exposure to extreme light or heat conditions. The name citrine is from the French "citron" meaning lemon. For more information about citrine, click on the photograph. Don't miss our large collection of citrine jewellery! 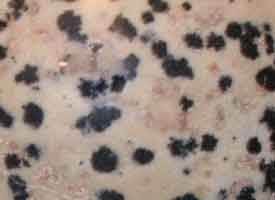 Like the breed of dog, dalmation has a cream ground with brown and black spots. A type of jasper it increases patience, removes disillusionment, increases loyalty to ones partner and is beneficial to long term relationships. For more information about dalmation, click on the photograph. Take a look at our dalmation jewellery. The name "garnet" derives from the Latin "granatum" meaning pomegranate because the shades of red and pink resemble the seeds of this fruit. Garnets are not restricted to reds and pinks although the deep red of rhodolite garnets is the most used and most popular colour in jewellery. Rhodolite garnet is mined in Africa, India and Sri Lanka. 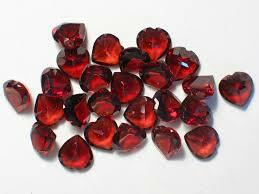 Garnets belong to the group of gems that come in all shades except blue. For more information about fascinating garnet, click on the photograph. Explore our large collection of garnet jewellery! 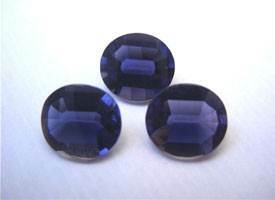 Iolite is a rich purple-blue gemstone which, when clear, is cut into traditional shapes. The name Iolite comes from the Greek word "Ios" meaning violet. For more information about iolite, click on the photograph. Don't miss our iolite jewellery collection! Labradorite is a variety of plagioclase feldspar found in igneous rocks and is characterized by brilliant colours although the surface of Labradorite is usually grey or almost black. Like Moonstone, labradorite displays a shiller of iridescent colour called labradorescence which is the result of lamellar intergrowths inside the crystal. These intergrowths result from compatible chemistries at high temperatures becoming incompatible at lower temperatures and thus separating and layering. 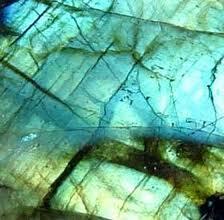 For more information about iridescent labradorite, click on the photograph. The stunning blues in paintings from the Renaissance are thanks to the blue of lapis lazuli, the blue rock loved by the ancients, from Mesopotamia, to Egypt, Persia, Greece and Rome. 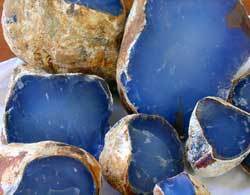 The ancient city of Ur had a thriving trade in lapis as early as the fourth millennium B.C. 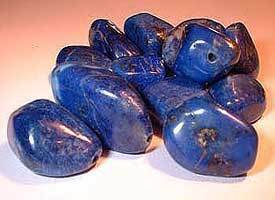 The name is from the Latin, lapis, which means stone, and from the Arabic, azul, which means blue although some scholars say it derives from a Persian word lazhward meaning blue. For more information about lapis lazuli, click on the photograph. Don't miss our lapis lazuli jewellery collection. Larimar, tentatively identified as pectolite, is a volcanic mineral which is found in the Dominican Republic. It is well known that the Larimar gemstone, the blue beauty of the Caribbean, exists only in one region in the world, close to Baoruco, province of Barahona, Dominican Republic, not far from the border to Haiti. Only workers from the local villages are allowed to mine the stone. The rarity of this beautiful stone and the skill required to work with it dictates its high price. There are different qualities of cabochons available, the best having no impurities (grey or brown marks). Our own selection of larimar jewellery is made using premium quality stone. For more information about dreamy larimar, click on the photograph. 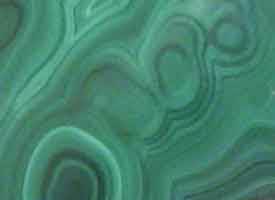 Malachite is a vivid green mineral of calcium carbonate. When polished, the bands and rosettes in shades of green are spectacular and very distinctive. For more information about malachite, click on the photograph. Moonstone is a variety of feldspar and the shimmer, which is called schiller or adularescence, is caused by the intergrowth of two different types of feldspar (orthoclase and albite), with different refractive indexes. That's the science bit now for the legend! 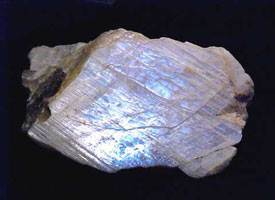 For more information about moonstone, the sacred gemstone, click on the photograph. Our rainbow moonstone jewellery collection is comprehensive - take a look! 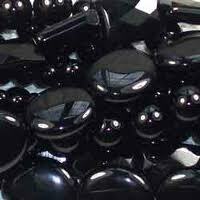 Onyx is a chalcedony that occurs in bands of different colours. It is composed of relatively straight, parallel layers of different colours. When the dark layers are brown or brownish red, it is often called Sardonyx. Onyx is a form of agate with parallel banding. This structure lends itself to cameo making. For more information about onyx, click on the photograph. We have a large collection of onyx including black onyx jewellery, red onyx jewellery and green onyx jewellery. Born out of fire, this rich green gem is found in volcanic rock. It has also been found in meteors (pallasites) that have fallen to earth - now that is a rare gem stone! 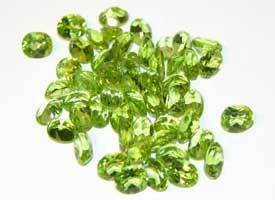 The name peridot is thought to derive from the French word meaning unclear and also from the Arabic faridat meaning gem. For more information about delicious peridot, click on the photograph. 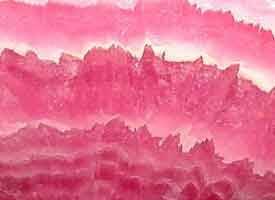 Rhodochrosite and rhodonite are pink manganese minerals but distincly different in appearance. 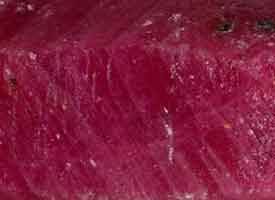 Banded rhodochrosite became popular as an ornamental stone in the 1930's after fine quality stone was discovered in Argentina. Later in 1974 a new important source was discovered in South Africa. Sweet Home mine in Colorado is considered the best source of fine clear crystlas. Rhodonite is found in Russia, Australia, Sweden, Brazil, Mexico and Britain. 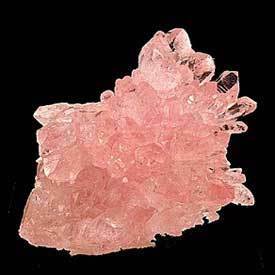 For more information about rhodochrosite and rhodonite, click on the photograph. The pale pink colour of quartz, which can range from transparent to translucent, is known as rose quartz. The colour is a very pale and delicate ice pink, the result of titanium and iron impurities in the quartz. Transparent rose quartz is very rare and is usually so pale that it does not show very much colour except in large sizes. The translucent quality of rose quartz is much more available and is used for beads, cabochons, carvings, and architectural purposes. Take a walk through our rose quartz jewellery collection! Smokey quartz is a brown transparent quartz that is sometimes used for unusual faceted cuts. The brown colour is a result of aluminium impurities in the quartz. For more information about quartz, click on the photograph. Don't miss our smokey quartz jewellery collection! Ruby is the red variety of the mineral corundum, one of the hardest minerals on Earth, of which sapphire is also a variety. Pure corundum is colourless. Slight traces of elements such as chrome, iron, titanium or vanadium are responsible for the colour. These gemstones have excellent hardness. On the Mohs scale their score of 9 is second only to that of the diamond. For more information about these precious gemstones ruby and sapphire, click on the photograph. Browse our ruby and sapphire jewellery. 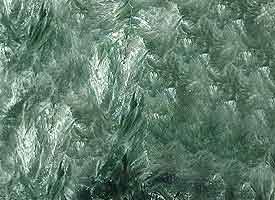 Seraphinite, Serafine or clinochlore is a member of the chlorite group of minerals. Clinochlore derives its name from the Greek "klino" meaning "oblique" or "inclined" and "chloros" meaning "green" as seraphinite is commonly coloured deep forest green to green-black with inclusions of silvery Mica. For more information about seraphinite, click on the photograph and don't miss our seraphinite jewellery collection. Pure topaz is colourless, but it also occurs in a broad range of colours including yellow, blue, pink, peach, gold, green, red, and brown. Some natural yellow topaz is heated to become permanently pink. However, the natural intense pink and the sherry red shades are the rarest and most sought-after. Topaz sometimes has the amber gold of fine cognac or the blush of a peach and all the beautiful warm browns and oranges in between. For more information about topaz, click on the photograph. Don't miss our blue topaz jewellery! Tourmaline's name comes from the Sinhalese word "turmali," which means "mixed." 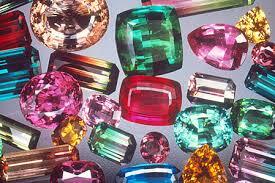 Bright rainbow collections of gemstone varieties were called "turmali" parcels. Tourmaline, occurring in more colours and combinations of colours than any other gemstone variety, lives up to its name. There is a tourmaline that looks like almost any other gemstone. Many stones in the Russian Crown jewels from the 17th Century once thought to be rubies are actually tourmalines. For more information about tourmaline, click on the photograph. Take a walk through our tourmaline jewellery! Turquoise - wonderful turquoise! - is one of the oldest known minerals and takes its name from the French "turc" meaning Turkish. 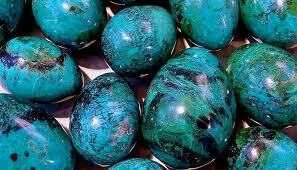 It is thought that turquoise was transported to Europe through Turkey. One of the first gems to be mined, it also inspired early imitations. The Egyptians and the Aztecs valued turquoise for its beauty and used it widely in jewellery, mosaics and ceremonial costumes. For more information about turquoise, click on the photograph. Don't miss our collection of turquoise jewellery!